IN Round 16, Yeronga South Brisbane, Coorparoo and University of Queensland all came out on top in the Queensland Women’s Australian Football League (QWAFL). Wilston Grange remain on top of the ladder despite having a bye this weekend. With only one round to go in the competition, three teams sit on six wins and seven losses so they have everything to play for next week. Bond University: C. Hammans 2, T. Perry, X. Cerutti, R. Saliadarre . Yeronga South Brisbane: D. Leach 3, J. Zanchetta 2, K. Howarth 2, J. Banks, J. Ransfield. Yeronga South Brisbane claimed a 26-point victory over Bond University in a clash that saw fourth and sixth go head-to-head. Yeronga South Brisbane’s win meant it went up to fifth place while Bond University was knocked out of the top four and sits in sixth place after the loss. 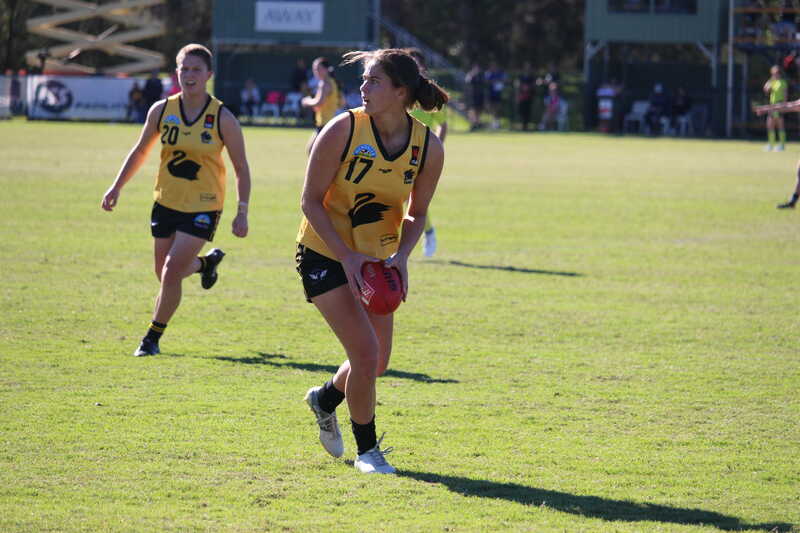 Demi Leach had a great game up forward with three majors for the away side while AFLW players, Jordan Zanchetta and Kalinda Howarth also got on the board. 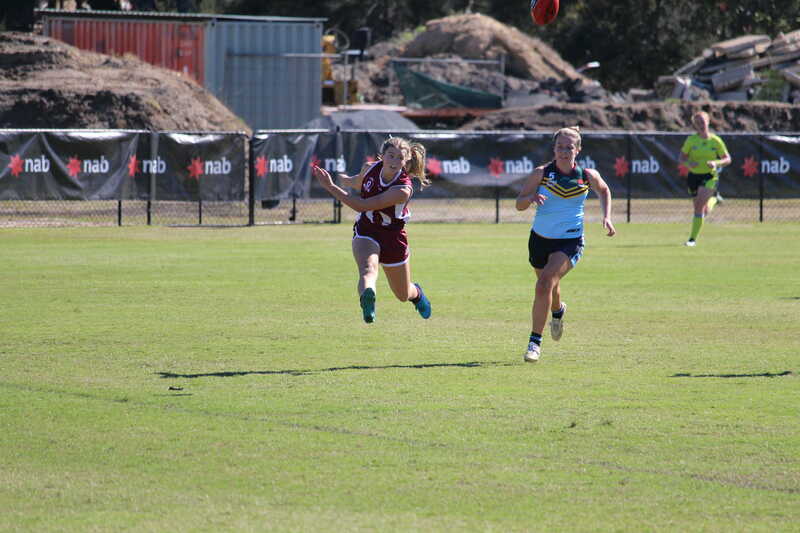 Leach and Zanchetta also earned a spot among Yeronga South Brisbane’s best and were joined by AFLW teammates, Emily Bates and Jessy Keeffe as well as Emily Bliss and Jade Banks. For Bond University, Queensland Under 18 representative, Charlotte Hammans led the way up forward with two majors. Tamsin Perry, Xanthe Cerutti and Rihanna Saliadarre also kicked a goal on the day and were named in the best as well. In a game where second took on seventh, Coorparoo got the job done fairly easily on the day against Maroochydore. Jenae Govan was the star up forward with five majors, taking her season goal kicking tally to 30 goals from 11 games. 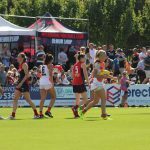 AFLW forward, Jessica Wuetschner and Maili Forbes also got on the board with two goals. Queensland Under 18 representatives, Jade Ellenger and Tori Groves-Little performed well on the day, with both players also kicking a major each and being named in the best for Coorparoo. Maroochydore’s only goal kicker was Laura Barklimore, who kicked her first major in 11 games. The Roos’ best players on the day were Claire Croyden, Rachel Crack, Taylah Day, Jesse Sills, Kelsee Sills and Jya Epstein. University of Queensland: S. Frederick-Traub 3, K. McCarthy, M. McGorm, E. Pericic, J. Childes, N. Grider. University of Queensland: N. Grider, M. Moloney, A. McNabb, M. Beaven. Coolangatta Tweed: L. Turney, Z. Wood, E. Hagan, M. Roberts, Z. Lattanzi, B. Pinchin. University of Queensland got a convincing win against Coolangatta Tweed, running out victors by 53 points on Saturday. AFLW stars, Sabrina Frederick-Traub and Kate McCarthy both got among the goals, kicking three and one respectively. Queensland Under 18 captain, Natalie Grider also got a major on the board and was named best on ground for her side on the day. Despite having no goal kickers, there were still plenty of good performers for Coolangatta Tweed on Saturday. Lucy Turney, Zoe Wood, Emily Hagan, Maddy Roberts, Zoe Lattanzi and Bethany Pinchin were all named in the best for their side on the day. Coorparoo took advantage of Aspley Hornets’ bye to claim top spot in the best possible way, belting Maroochydore by 142 points. The Blues had 38 scoring shots to one, which included just a casual 15 majors to Meg Pullinger in a clear best on ground performance. Rachael Grech was named the Roos’ best in the defeat. Burleigh also had an impressive win, defeated Coolangatta Tweed by 64 points at home. Rebecca Fitton booted three goals while Lauren Theodore was named best on ground in the win. Third placed Moreton Bay kept in touch with the top two following a 44-point victory over Yeronga South Brisbane. Queensland young gun Lily Postlethwaite was named best on ground once again, while Richelle Reeves booted two goals to be amongst seven individual goal kickers for the Lions. Ngatai Alapaki continued her good form for Yeronga South Brisbane in the loss. Broadbeach held onto its fourth spot with an important 29-point victory over University of Queensland. The Cats held the home side scoreless in the match, with Rebecca Goodwin named best on ground in the win. In the closest game of the round, Kedron held off Wilston Grange in a nine-point victory. Felicity Angliss booted two goals, while Jacinta King was named the winning teams’ best. Mica Cubis was judged the Gorillas best in the defeat. 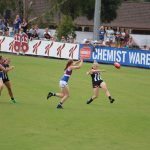 WITH the second AFLW season kicking off; more hype, talent and excitement surrounds the competition. The marquee players will play their role once again, but this year it is all about showcasing the young talent of the league. This AFLW preview looks at some of the top stars in the competition with an eye on the best youngsters to cast your eye over throughout AFLW 2.0. With the inaugural premiership under their belt, the Crows will look to continue their success in 2018. With a star-studded line-up, such as goal-kicking machine Sarah Perkins and the AFLW Best and Fairest winner Erin Phillips, the Crows could easily find their way into another grand final. Through the recruitment of talented up-and-coming youngsters, the Crows have further bolstered their highly talented team. Keep an eye out for Jasmyn Hewett, who showed her athleticism at the AFLW Draft Combine. Former Salisbury jet, Jess Allan could dominate the ruck role, and is known to take an impressive contested mark. Allan represented the Allies in the U18 National Championship and was the vice- captain in the U18 All Australian Team in 2017, making her a huge threat in the competition. At pick 16, the Adelaide Crows have secured the damaging utility/ruck Jasmyn Hewett. 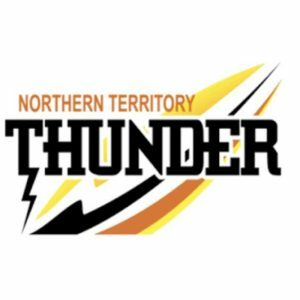 With an impressive 2017 season, winning the 2016/2017 NTFL Women’s Rising Star Award and being the runner up in the Northern Territory Football League (NTFL) Women’s Most Valuable Player Award, the Crows would have been silly not to snap Hewett up. The former NTFL St Mary’s player showed her extreme athleticism at the AFLW Draft Combine, placing within the top 10 in all physical tests. More impressively though, standing at 184cm, Hewett came second in the Yo-Yo test, vertical jump and the 2km time trial. With the premiership in sight in the 2017 season, the Brisbane Lions fell marginally short, losing to Adelaide in a close encounter. The Lions claimed top spot on the ladder, winning six out of the first seven games, and drawing the final game of the home and away season. But with the likes of star forward, Tayla Harris leaving the club, the Lions may be in for a more challenging year, as shown in their shock 50-point loss to GWS in January’s practice match. The news of a fully fit Jordan Zanchetta, who recovered from a devastating ACL injury could help add to the depths of the Brisbane midfield, with her evasive skills and clean ball use. Sophie Conway also made an impressive statement in the practice match, showing her good skills, and even slotted through a goal. Kalinda Howarth’s football talents range from her clean ball use and strong hands, to her explosive speed. Howarth is a talented medium-sized forward who uses her damaging pace to get herself into strong scoring positions. Recruited from the Coolangatta Bluebirds, Howarth starred in the National Under 18 Championships for Queensland and went on to make the All-Australian Under 18 team, thanks to her impressive all-round skills. After their sell-out win over Collingwood, the Blues were touted as early premiership favourites, and set up for a big year. But tough losses against Melbourne and Fremantle crushed Carlton’s hopes of being crowned as the inaugural AFLW champions. 2017 leading goal kicker and Darebin Falcon gun, Darcy Vescio will be a hot favourite to turn her team’s fate around, after kicking three goals in the Blues’ practice match against the Bulldogs. But the recruitment of 2017 TAC Cup Girls Best and Fairest joint-winner, Bridie Kennedy could revolutionise the ruck role in the competition. The former Dandenong Stingrays vice-captain impressed with her athletic rucking and killer endurance in what was a tough TAC Cup season. Former Beaconsfield junior, Georgia Gee was snapped up by the Blues at pick 12, after a stellar season with the Dandenong Stingrays in the TAC Cup last year. The impressive midfielder has a huge advantage to continue on her merry way, having the opportunity to play alongside a familiar face in fellow Stingrays teammate, Bridie Kennedy. Gee is no stranger to success, after winning three premierships in a row with her junior club, Beaconsfield. She first represented Vic Metro in 2014, and hasn’t looked back since, donning the big V again in 2016, and playing in the AFLW U18 State of Origin match last year. The Magpies got off to a rocky start in 2017, after a disappointing loss to arch-rivals Carlton on the opening night. Losses in the next two games stopped Collingwood from making the finals, but they will be hoping to come back with a vengeance in season 2018. With the loss of Nicola Stevens to Carlton, Alicia Eva to GWS and young gun Darcy Guttridge to injury, the Magpies will be hoping that the depth of their list will stand up. The recruitment of talented netballer, Ashleigh Brazill, who is renowned for her speed, defensive pressure and clean hands will be a good inclusion for the team. Keep an eye out for the pairing of goal-kicking dynamo, Moana Hope, and the 2017 VFL Women’s joint leading goal-scorer, Chloe Molloy, who could help spark a more dynamic and accurate forward line for the club. Medium defender Iilish Ross is sure to turn heads with her excellent rebounding ability. Chloe Molloy impressed with her accuracy in front of goal and her ability to turn the game on its head in last year’s TAC Cup Girls competition. The former Calder Cannon and Diamond Creek forward made her early draft selection easy through winning multiple awards after her stellar season. She claimed the VFL Women’s Rising Star Award and was a joint winner of the TAC Cup Girls Best and Fairest. Molloy also won the VFL Women’s goal kicking award in the 2017 season, making her a player to watch in the upcoming season. At the age of 19, Molloy’s skills in front of goals could help gift Collingwood with the finals berth they desire, after falling short in the inaugural season. Fremantle was a team that surprised many, after somehow going in as premiership favourites prior to the inaugural AFLW season. But despite being under the leadership of former Melbourne assistant coach, Michelle Cowan, Fremantle’s first and only win didn’t come until Round 6, in a shock win over the Blues. The news gets worse for the Dockers, as former Ellenbrook Dockers junior, Kellie Gibson, is likely to miss the entire AFLW season after playing at Adelaide as a marquee last year. Other notable misses include former Bullcreek Leeming junior, Beatrice Devlyn (4-6 weeks) and Kirby Bentley (season), who appeared for the Allies in a 2016 State of Origin match. Emily McGuire was one of three players to be recruited from the Swan Districts, after a standout 2016/ 17 season. The 19-year-old represented Western Australia as an U18 representative, and was a part of the Western Australia Women’s Football League (WAWFL) premiership team. McGuire, a versatile forward, is a much-needed coup for the Dockers, after the side had a disappointing 2017 season in front of goals. The luckless Giants finished at the bottom of the table in 2017, after securing just one win against Melbourne in Round 5. Although former Sydney University midfielder, Nicola Barr and Mosman Swans recruit, Erin McKinnon impressed with Rising Star nominations, they couldn’t carry the Giants over the line. But GWS have gotten to work in the off-season, bolstering its list with Calder Cannons premiership coach, and Melbourne University’s 2017 Best and Fairest winner, Alicia Eva. Eva has already snapped up the role as the GWS vice-captain, giving her an opportunity to display her leadership on the field, and allow the Giants to have a better run at the premiership cup in 2018. Standing at 180cm tall, Pippa Smyth will be a hard woman to bring down! The versatile ruck-forward was recruited from the Nelson Bay Marlins, after giving up netball to have a go at dominating with the Sherrin. After topping the 20m sprint with her blistering speed in the AFLW draft combine, the 22 year-old showed what sets her apart from the typical ruckman. Smyth will give GWS a much-needed boost in the height department, after the Giants’ small-sized team struggled to break through the corridor and project the ball into the forward line in 2017. 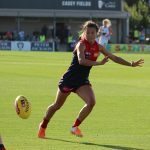 After finishing third in the AFLW inaugural season, the Demons could be in for another successful year, with the likes of Darebin Falcons trio, Daisy Pearce, Mel Hickey and Karen Paxman raring to go. Former Mornington life-saver, Claudia Whitfort will be hoping to help the Demons surpass the five wins they achieved in 2017. Whitfort has shown that she’s got oodles of talent, displaying her great speed and athleticism. The trade period also allowed for former Carlton forward Bianca Jakobsson to cross over to the Demons. The addition of Jakobsson could help bolster the club’s forward line with her strong marking ability and versatility. After an impressive 12 months, the Melbourne Demons would have been thrilled to pick up Eden Zanker at pick six. The big key forward from the Bendigo Pioneers can take a strong mark, and was one of the leading goal kickers in the National Under 18 Championships. Zanker was also named in the AFLW U18 All- Australian team due to her accuracy in front of goal. Living in a small town, Natya, roughly 60km from Swan Hill, Zanker’s dedication and love for the sport is undoubted as she travels kilometres on a weekly basis just to make it to games. 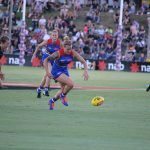 The Western Bulldogs’ 2017 season didn’t exactly go to plan, as they only came away with two wins for the season. Star marquee and Darebin Falcon, Katie Brennan struggled with injury throughout the year, but if there’s a change of fate this year, Brennan could give Carlton’s Darcy Vescio a real run for her money in front of goals, after being the joint leading goal kicker in last year’s VFLW season. 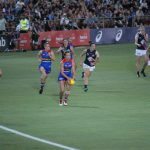 The Bulldogs are probably one of the most experienced teams in the AFLW, with the likes of Melbourne University midfielder, Ellie Blackburn and Darebin defender, Aasta O’Connor playing in the side since the days of the AFL Women’s exhibition matches. Expect these experienced players to play a huge role in developing former Sandringham Dragon and number one draft pick, Isabel Huntington, as well as dual-code former Calder Cannon, Monique Conti. For the sports fanatics out there, Monique Conti is a name you might well be familiar with already. The former Calder Cannon not only dominates the midfield on the footy field, but also dominates on the basketball court. At 16 years of age, Conti played in the Australian FIBA U17 basketball world championship team, and currently represents the Melbourne Boomers, who just fell short of the Townsville Fire in the WNBL Grand Final series. But now, she has a chance to bounce back on the footy field, and complement the likes of Ellie Blackburn and fellow dual-code athlete, Emma Kearney in the midfield. The 18-year-old has an innate ability to linger around the contest, and burst through the pack at key moments, which is the X-factor that could project the Bulldogs into the top half of the ladder.